I was rummaging around the library for an author I was not familiar with, when I came upon Doris Davidson and her book, Jam and Jeopardy. 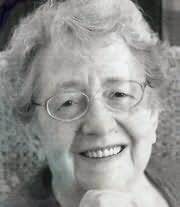 I have since discovered that Doris Davidson was born in Aberdeen, Scotland in 1922 and died in 2012. She lived there all her life. After a career as a primary school teacher she began to write and has subsequently become one of Scotland’s best-loved romantic novelists. 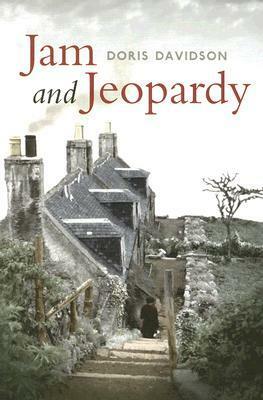 In Jam and Jeopardy the protagonist is a mean and unpopular 89-year-old spinster, Janet Stouter. She takes pleasure in raking up scandals, old and new, about her neighbours. She also relishes refusing her two nephews money they seek to bolster their businesses. When a retired glass worker gives her some arsenic to kill the rats in her garden, she hatches a plan to test her nephews. She tells them about the arsenic and waits for them to prove themselves worthy of inheriting when she dies. Surprisingly, she decides that whoever attempts to kill her will be her sole heir; if both do, of course, they will each get half share of her substantial amount of savings. She does, however, make sure that her life will be in no danger. Unfortunately, the old lady spreads word of the poison around the village, thus laying the thoughts of murder in several people whose lives she has made difficult over the years. She had not foreseen that several other would-be assassins will come into the frame nor that one would succeed in silencing her vicious tongue forever. This is a really a delicately crafted who dunnit in the classic style of Agatha Christie. Jam and Jeopardy falls firmly into the category of novels that I really enjoy. I enjoyed this book too. If you enjoy a classic crime fiction novel, I recommend this book to you.